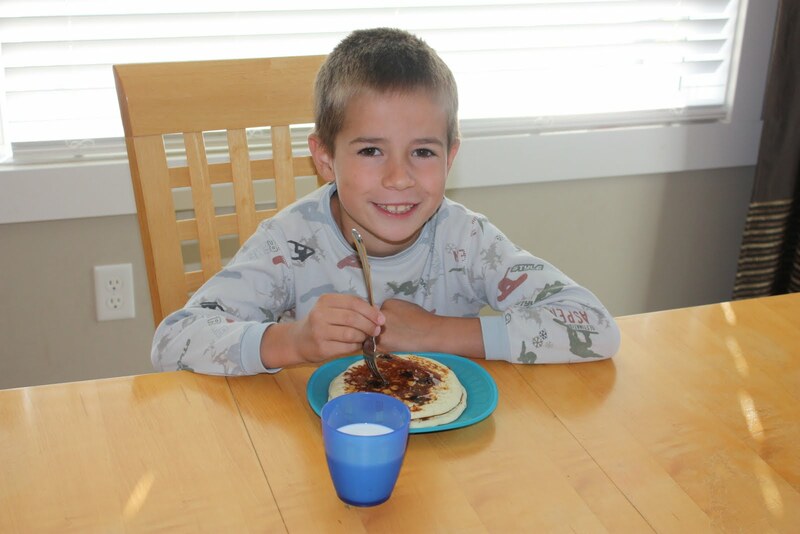 Jakob's birthday started out with his favorite breakfast- blueberry pancakes! 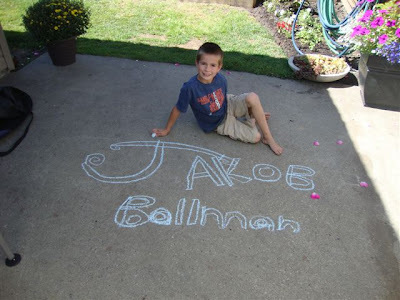 We then played a few games and made a craft, all things that Jakob wanted to do. 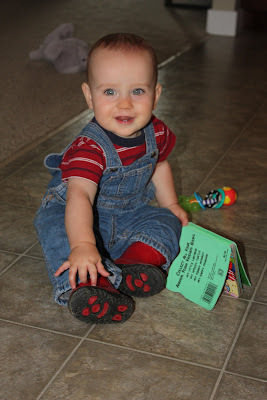 Jakob got to pick what we were having for lunch and dinner, all followed by a birthday party with the Oma's and Opa's and Uncle Jordan & Auntie Kristy! 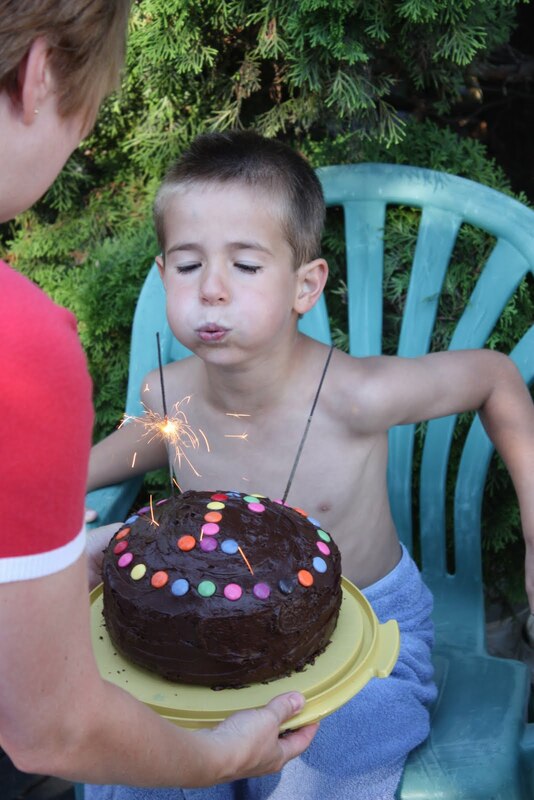 A perfect day, all about our 7 year old!!!! Jakob has been asking for a pet for awhile, but since we can never have an animal of any kind, we got him a fish tank and he can pick out some fish for it. 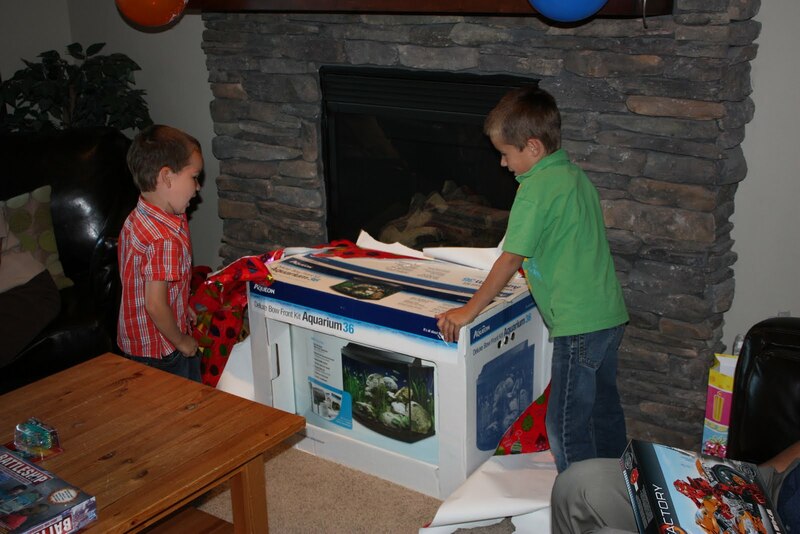 He was pretty surprised and is excited to go pick out his new fish! 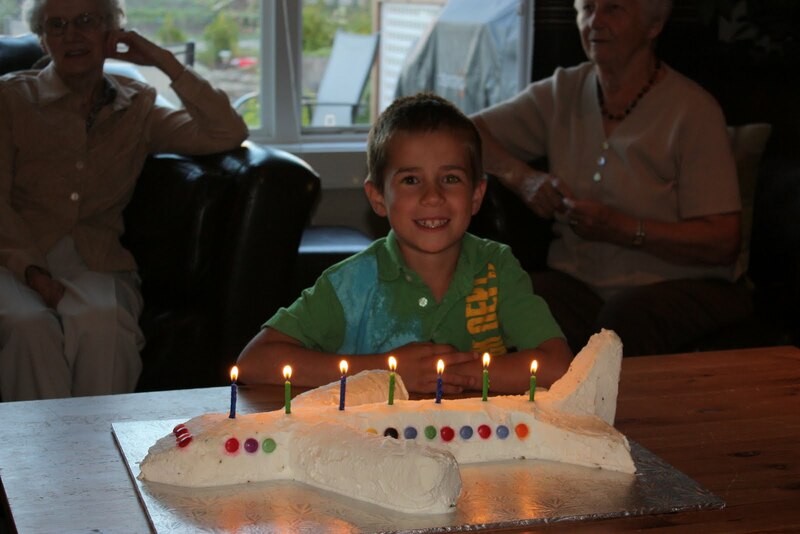 Jakob requested an airplane birthday, so I made invites that looked like plane tickets and a oreo cookie airplane cake. 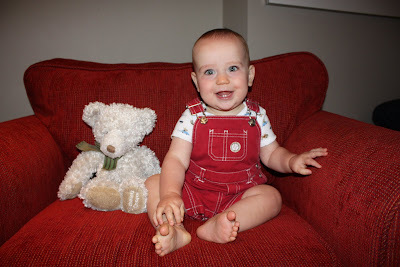 He was very happy! 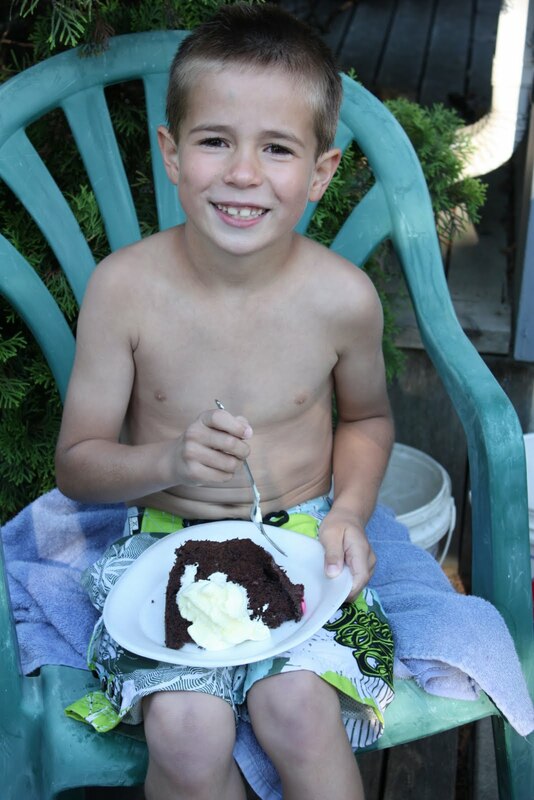 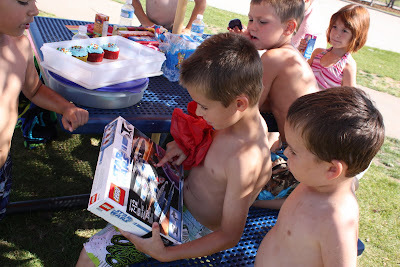 Jakob had his birthday party with his friends at the beach. 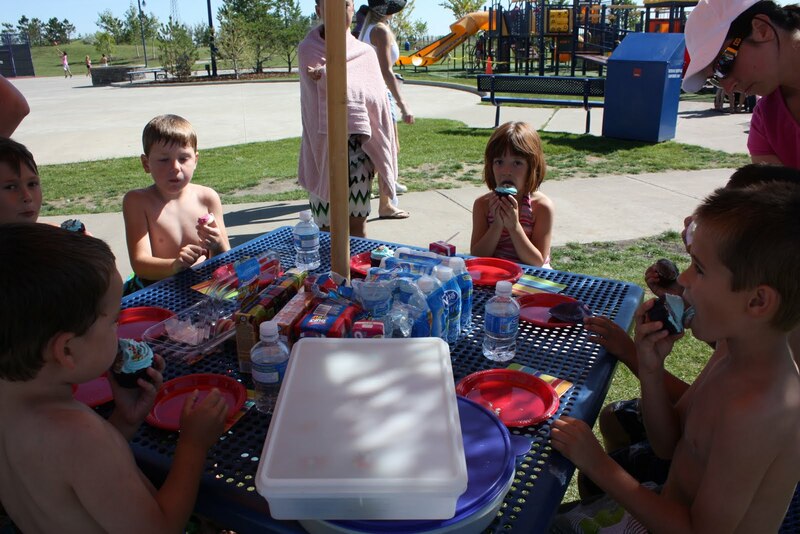 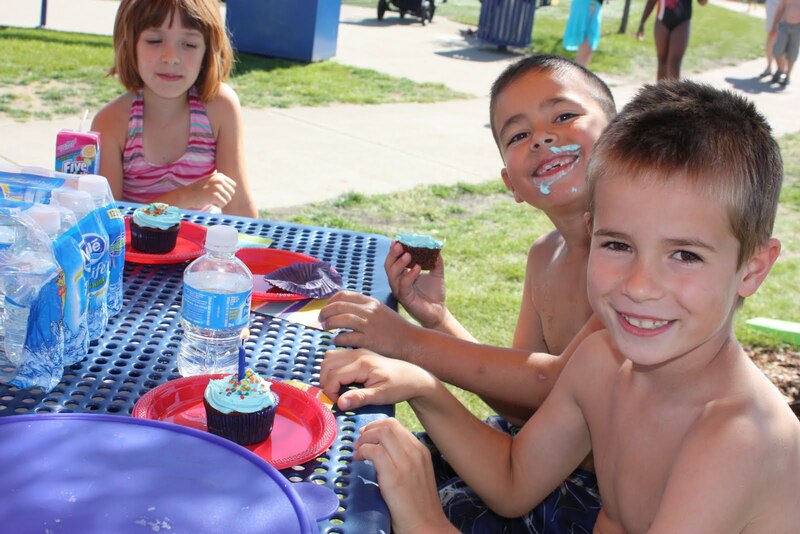 It was a beautiful day and the kids enjoyed playing in the sand and playground and of course eating cupcakes!! Jakob had a great time with his friends!!! 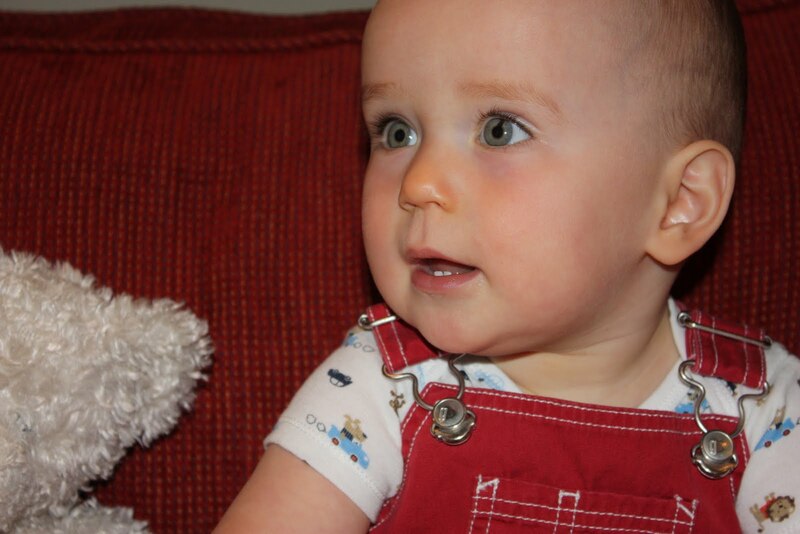 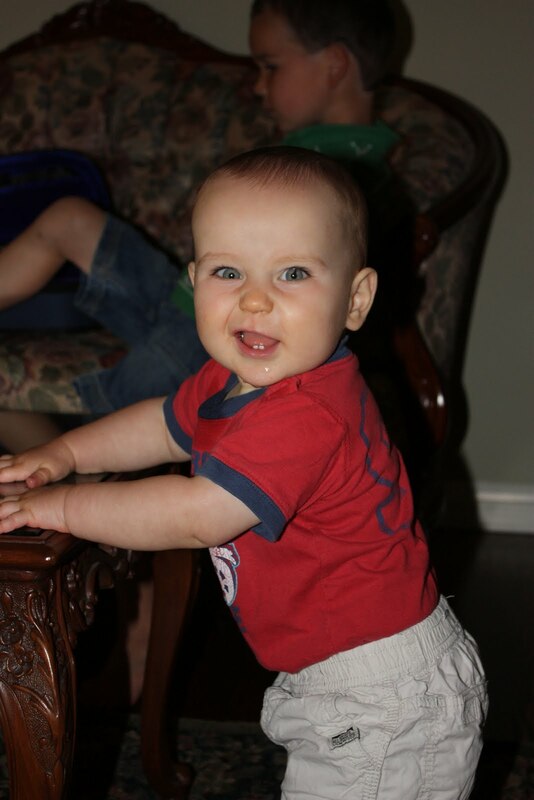 Zack is 10 months old today! 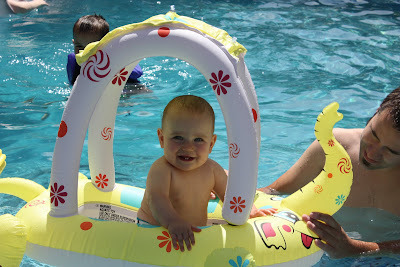 We just got back from a really fun couple of days at the lake! 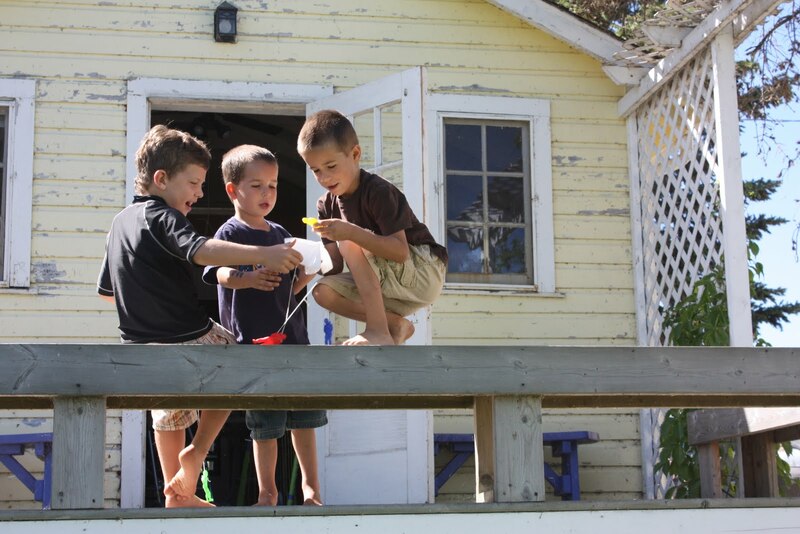 The boys played with their friend Oliver and had so much fun. 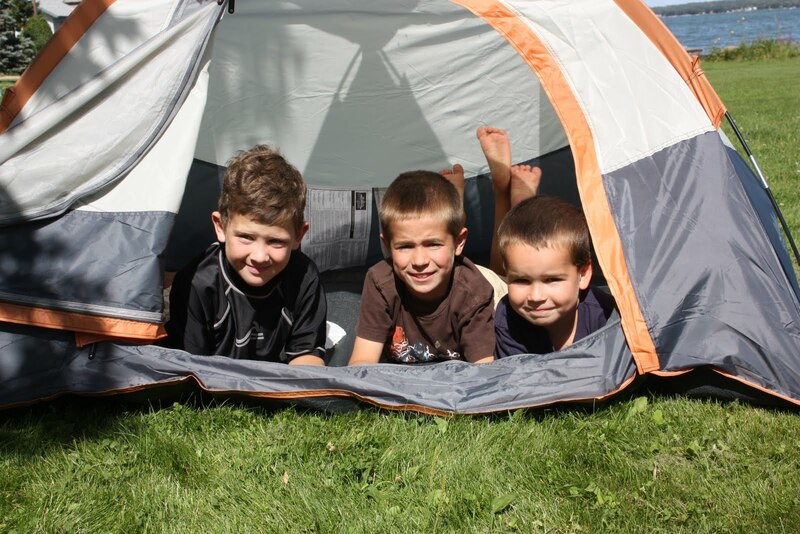 The 3 boys were together from the minute they woke up until they finally went to bed, they played so well together and made some great memories! 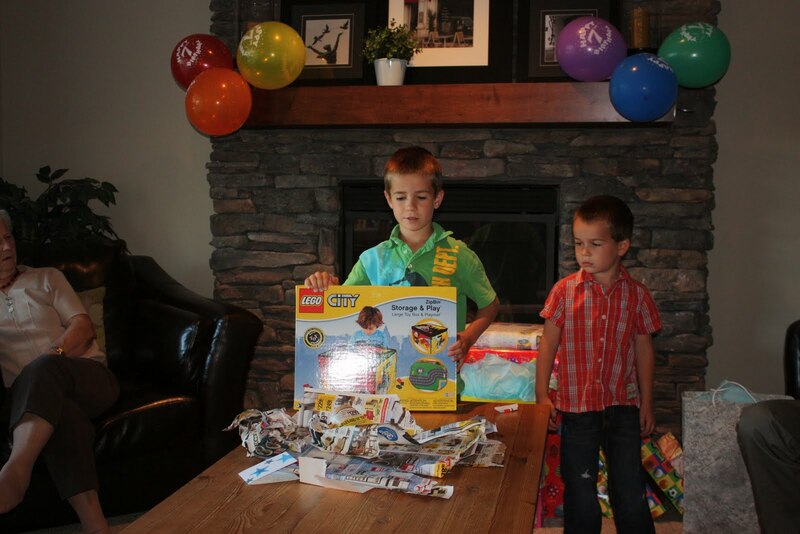 While in Winnipeg we celebrated Jakob's birthday. 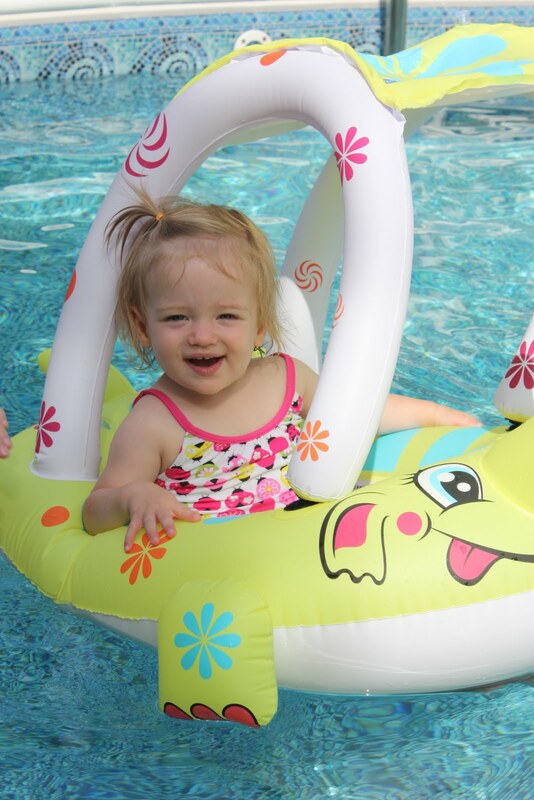 Great Grandma & Great Grandpa hosted a wonderful pool party and it was a perfect day! 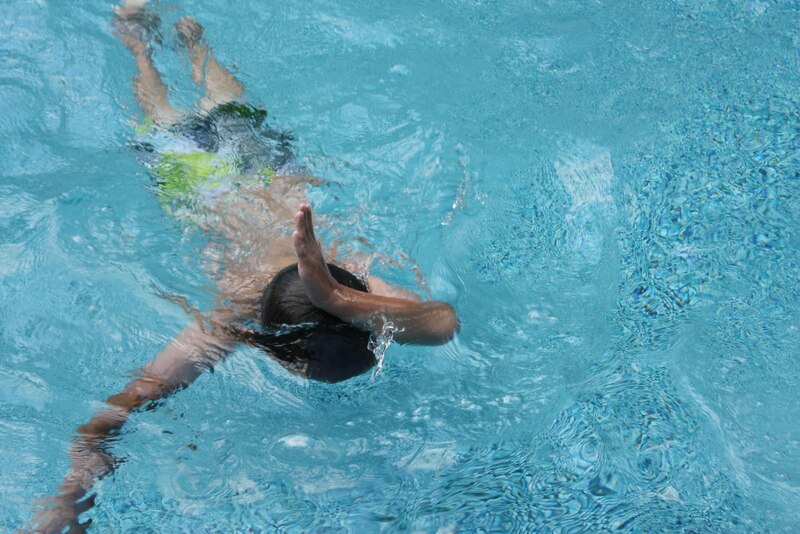 The weather was great and we all had a really good time, swimming, eating cake and having fun!!! 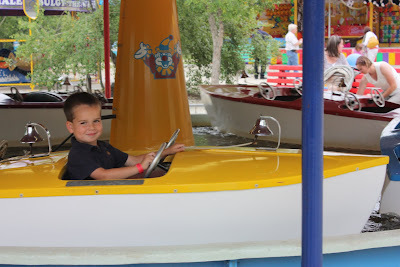 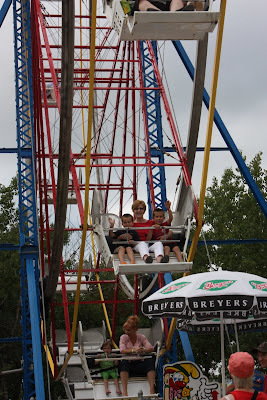 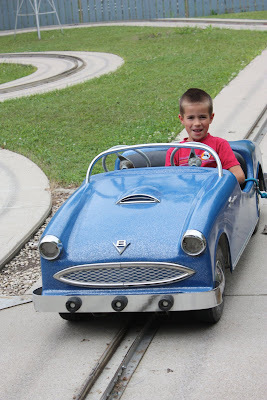 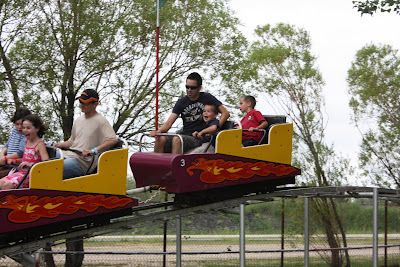 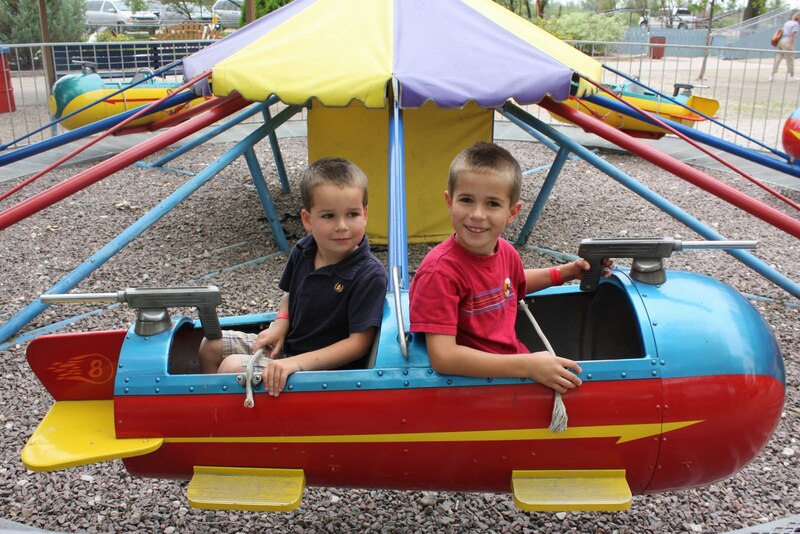 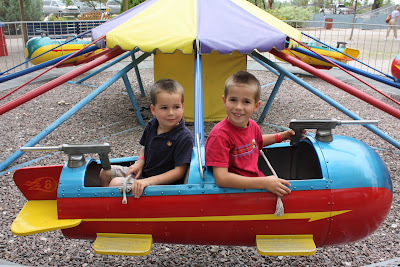 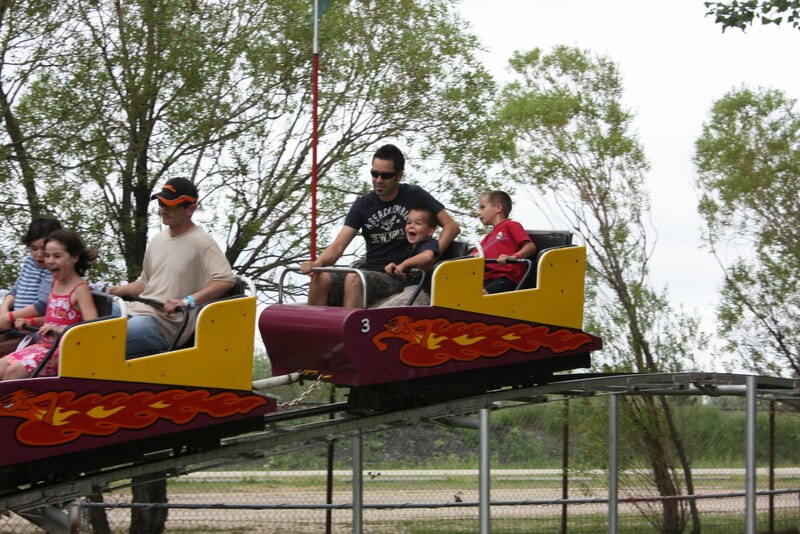 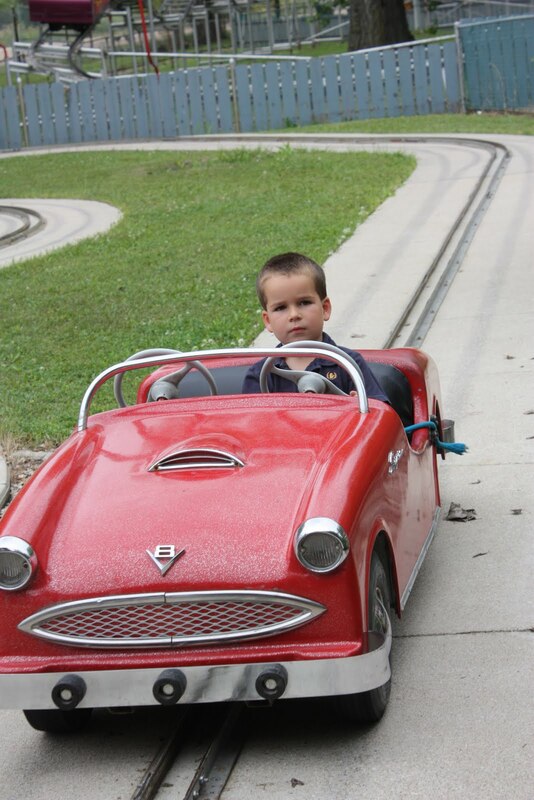 On another day in Winnipeg we went to Tinkertown, it's an outdoor park, open all summer with rides and games for kids. 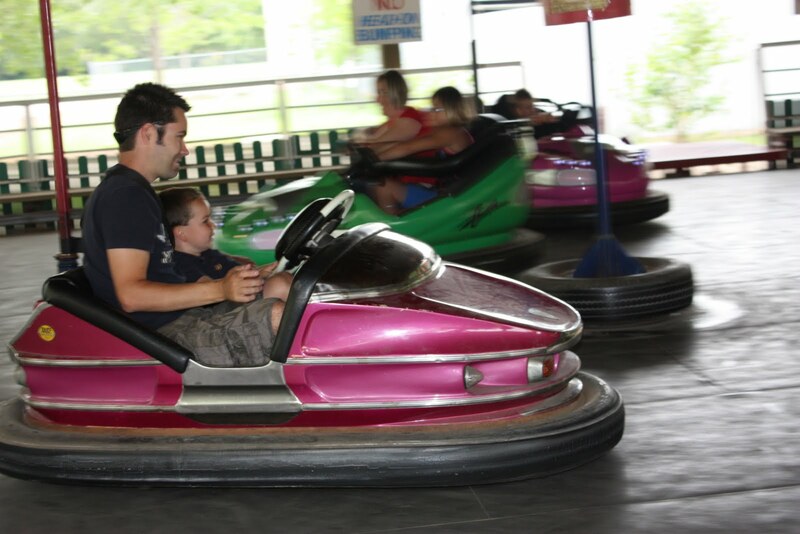 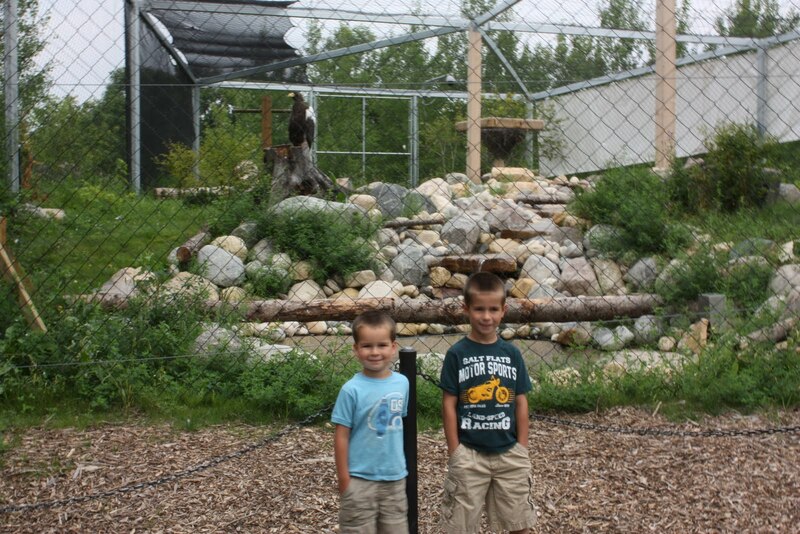 The boys loved every minute and are still talking about how much fun they had!! 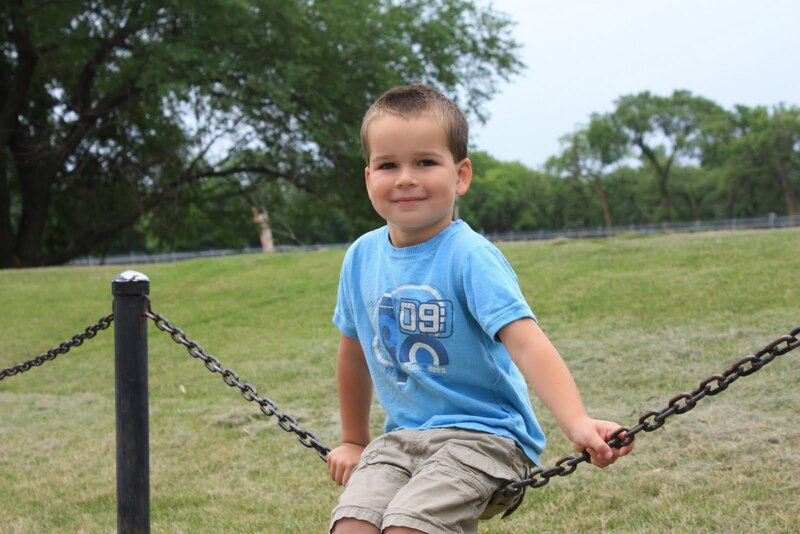 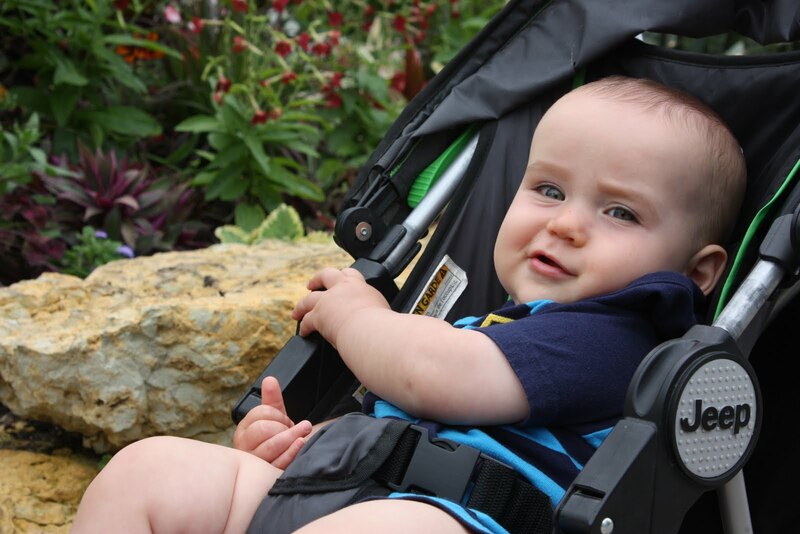 One of the days in Winnipeg was spent at the Zoo. 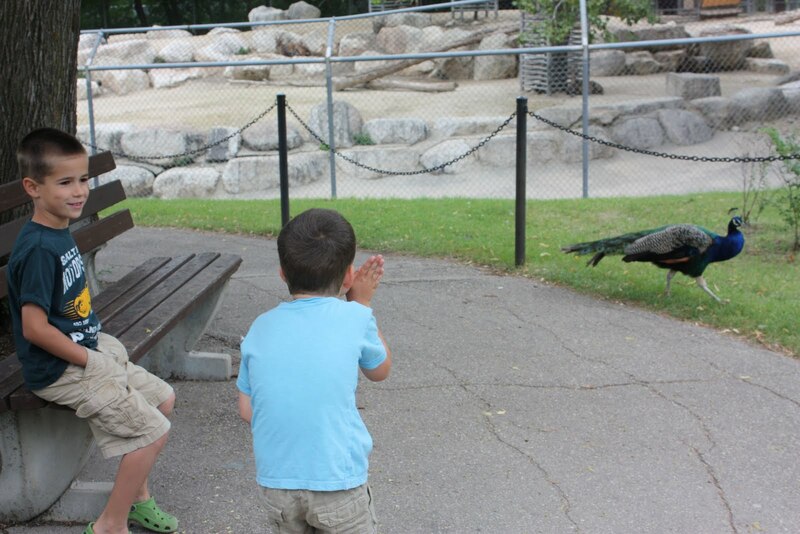 Winnipeg has a really nice Zoo and the boys love to visit it. 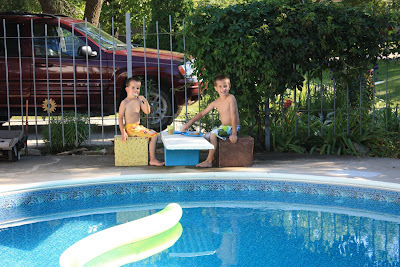 We spent a lot of time at Great Grandma & Great Grandpa's pool. 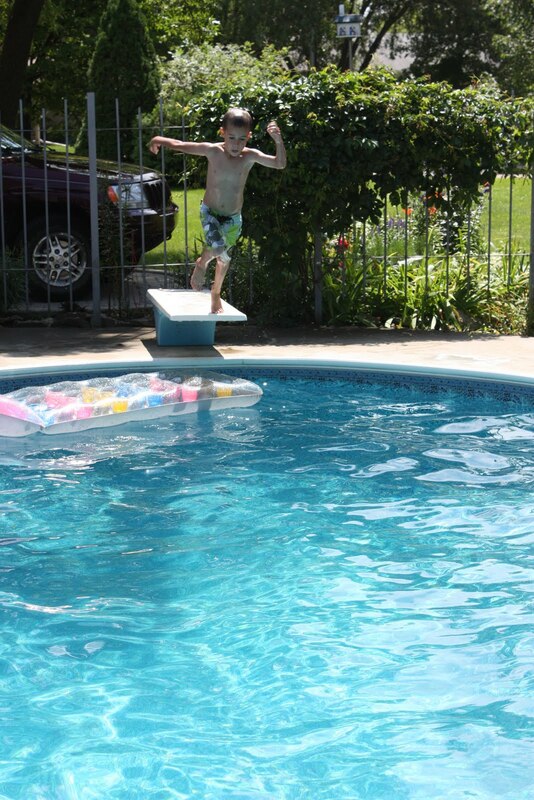 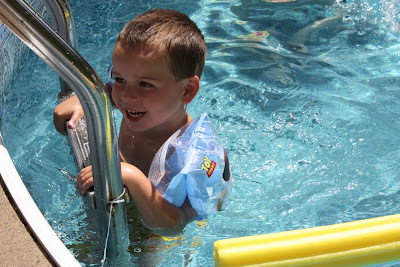 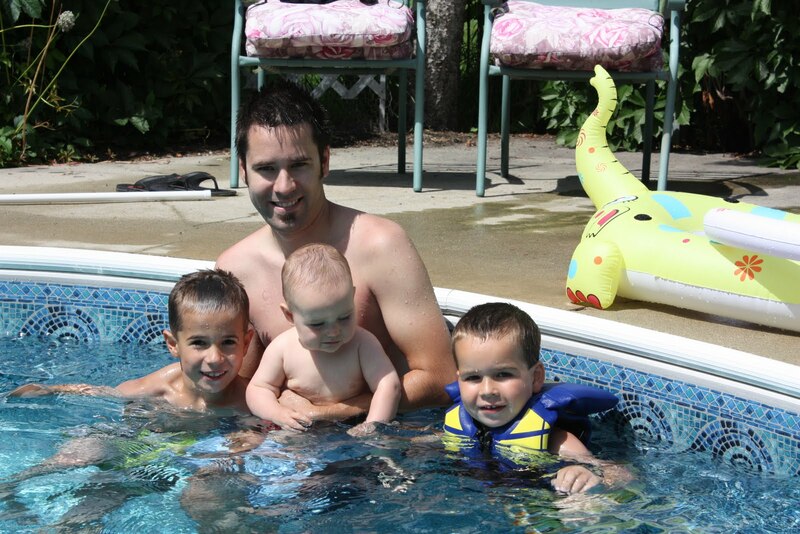 The boys LOVE to swim and had the best time splashing around! 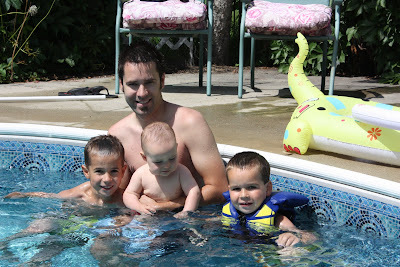 Cousin Sophie joining the boys for a swim! 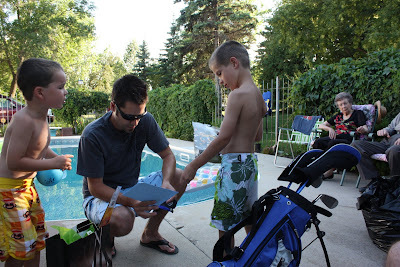 We just returned from a week in Winnipeg! 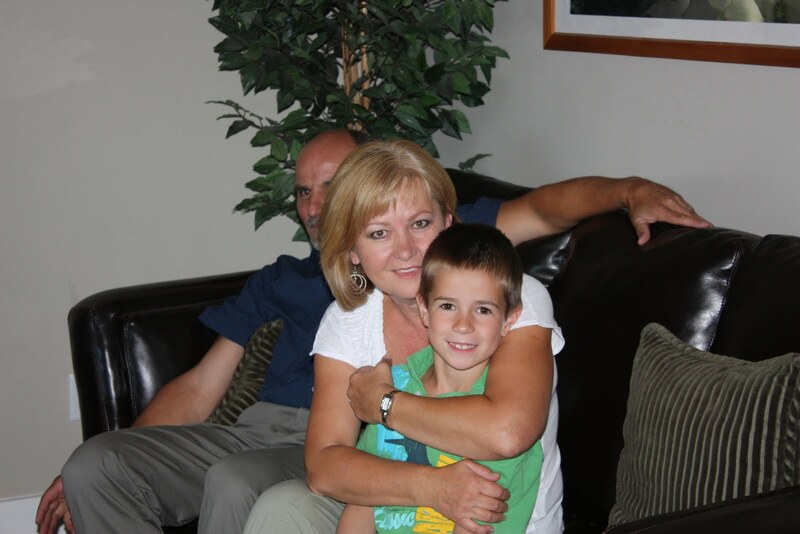 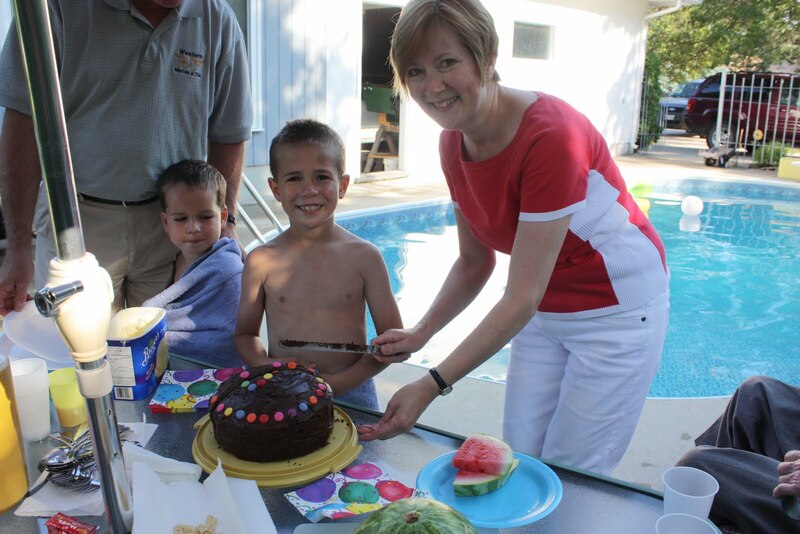 The boys had a really great time with their Grandma & Grandpa. 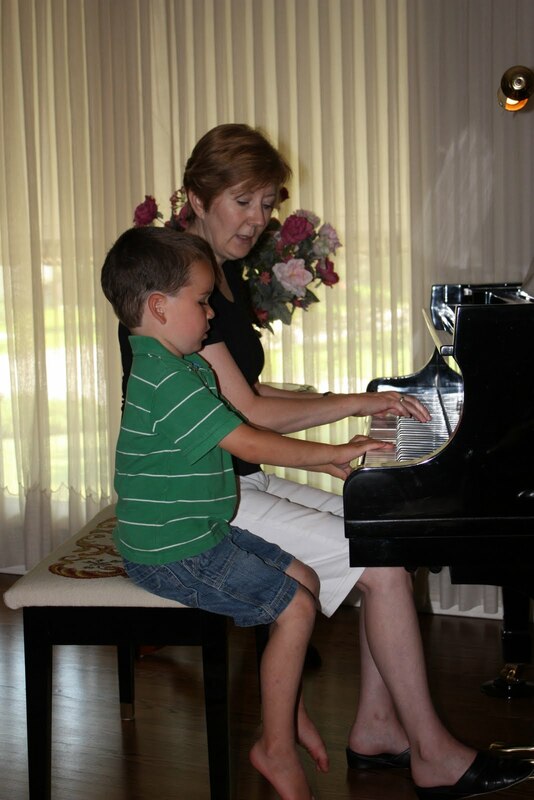 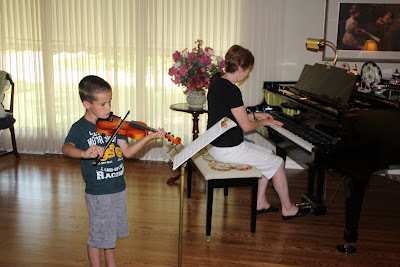 Here are the boys on the first day, playing the piano and violin with Grandma.